I can feel my addiction to earbuds already creeping back into my life. Alright, I submit. You win, Earbud Deities! I am fresh off of another High-End earbud during my last review and can’t wait to start this next one. 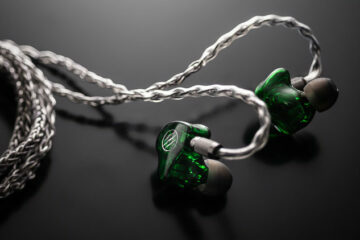 This time around, I will be looking at one of the most interesting earbuds that currently exists on our little blue and green planet: the TY Hi-Z HP-650. I have a ton to say about this product, so let us dive in without further delay. For $125US, you can purchase a new TY HiZ650 over on the Asian marketplaces, such as AliExpress and Penon. I was lucky enough to purchase mine used on eBay for a price so low, that I won’t even bother typing the numerical value out…because nobody would believe me on what my first and only bid was to score this. Nobody bid on it, except me. So, I consider myself very lucky. A nice little box came with it, but no other materials, so I can’t be sure of what actually comes new with this product. I can safely say the box included is nifty and it is fantastic to be completely absent the typical earbud zipper cases so many other companies shell out to us in their packages. TY seems to take the higher road often (as I have found during my research and what is included with their other products) and for this product has included cute little clip-locking box. Sure, it isn’t pocket-friendly, but then again…this is probably going to be an earbud that a tiny percentage of owners actually use on the go anyway. I am not at all fond of the standard, plastic housings of most earbuds out there and I feel no different right now in 2017 as I did in 2013. We need to get over plastic housings and start investing in metal housings for earbuds when they cost over $100. Enough already. Thankfully, this company has offered a fantastic stock cable to make up for that, as well as a carbon fiber 3.5mm adapter. This is what we need more of! 2 steps in the right direction, no doubt. I simply do not have any other earbuds that have a cable this nice that came stock to compare to, nor an adapter that feels that solid and of a supremely high quality. Everything else has a shoulder shrug worthy cable. 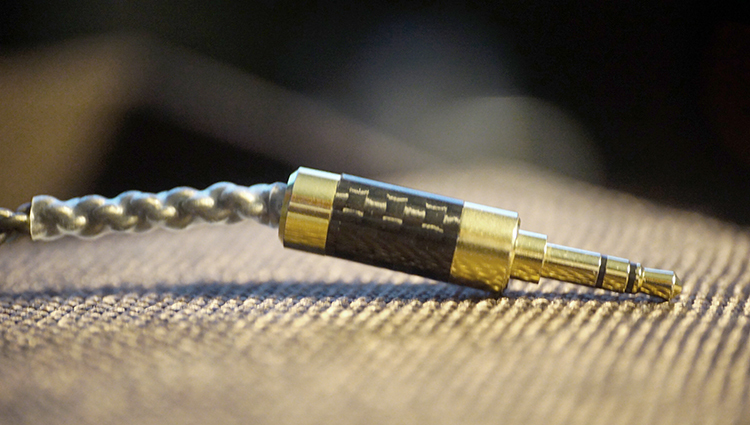 This TY HiZ650 is the first I’ve seen to offer a really neat, braided cable. Great implementation of design here overall and outside of the standard plastic housing, I can’t complain further. This TY HiZ650 is the near complete poster child of what earbuds over $100usd should come stock with. Holy hell. This is a 650-ohm earbud! It is more difficult to drive than the Sennheiser HD800 and really taxes my Cowon Plenue M on max output with volume nearing the 80% threshold just to get to what I consider normal listening volume. Most portable amps in the lower tier can’t properly handle 650-ohm loads, to begin with, so you are going to require a beefy portable amplifier or a fantastic DAP with amazing output power. My Cowon is rated at just under 2Vrms of power and it struggles to get the job done well. Sadly, this earbud is right on the border of silly and a product that I think represents a colossal step backward in portable audio. 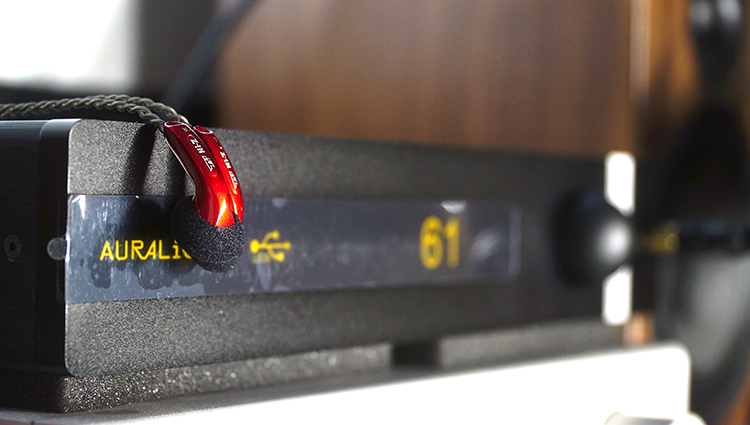 At 650-ohm, this earbud absolutely requires home desktop amplifiers to achieve the truth of what it is capable of sonically producing for you. There is quite a difference between using a portable rig rated at 2Vrms output and my 5watt Heron 5 amplifier from Airist Audio. It seems vividly absurd to power an earbud with that much juice, but it seems that is what all owners of this earbud will have to do in order to view the true face of this TY HiZ650. Nearly non-existent and easily considered a bass-light product. If you have heard the older AKG K701, you’ll know exactly what this earbud sounds like overall. It is very thin and lacking low-end heft, substance, detail, and response. 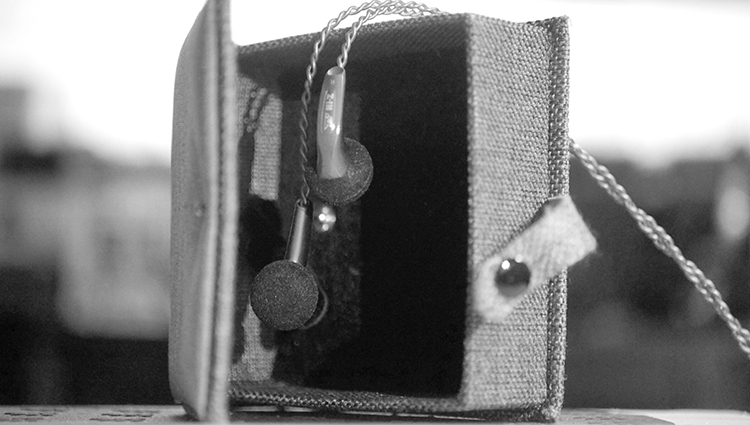 When considering all things bass related outside of raw quality, this earbud has little to offer. Quantity is severely lacking, but the quality is excellent. This is one of the strangest low-end experiences, in what I would consider an expensive portable product, that I have come across in my many years as an audio journalist. No matter what I do, I cannot get this earbud to respond to bass boosting or EQ of any type. The physical response to raising EQ on the low end of the spectrum is abysmal and hardly changes even at a staggering +7dB added down below. Oddly, there is hardly any quality drop off between +1dB and +7dB. Having said that, the purity factor of this earbud absolutely obliterates every single other earbud I’ve ever heard. My old MX980 from Sennheiser and new VE Zen 2 sound like pure mud by comparison. This HiZ650, without a doubt, has the most liquid-like and pure low end that I’ve ever heard in an earbud. The little that is available certainly is of a very high quality. With regard to physical placement of vocals, this earbud is moderately relaxed. Certainly, this HiZ650 is not nearly as forward as the VE Zen 2 that I’ve recently reviewed. Instead, it is more reserved and distant feeling in vocal placement. 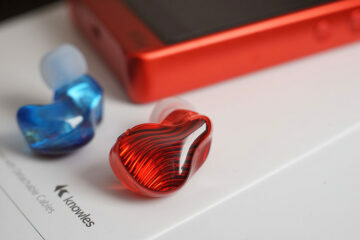 The quality factor is, for the lack of a better word, astounding for an earbud. I was in total shock and did not expect this earbud to sound that clean and pure. 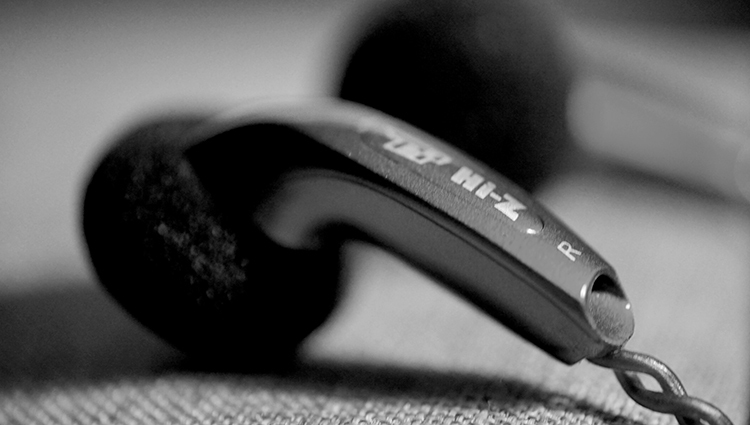 Truly, this Hiz650 is the ‘creme de la creme’ of earbuds that I’ve ever experienced. Can’t say for sure if it is really the top dog in audio quality, I am told there are other earbuds out there recently that may be better, also that the owner of the company of TY who makes this earbud has called this 650 and the other models released around the same time “as 3rd generation”. The owner has just recently stated on social media that there is now a 4th generation of his products, which I was only just made aware of. With that in mind, I have trouble believing he could possibly improve on this without the price skyrocketing as well. This is a bit of a problem for me on a subjective level, but as we are all aware, there are many audio enthusiasts who love plentiful bite and snap factor. I can’t relate. I find this earbud too harsh on slam factor, but this again is personal preference. If you want a subdued, soft and relaxing experience, this isn’t the product for you. Opt for a Zen from VE instead. If you want high amounts of dynamic prowess, then go grab one of these 650’s asap, because they do indeed have more than I can handle in terms of dynamic impact sometimes. This becomes an issue when you are about to leave the midrange (upper mids) and enter the treble areas. In this frequency zone, things can get piercing and razor sharp in purity factor. Sennheiser HD800 lovers, congrats! You have got a mini HD800 now with portability in mind. This TY HiZ650 is almost exactly what you would expect a sized down HD800 to sound like if it were forced into an earbud and with regard to mids and treble styling. Simply stunning in terms of quality, but it can get a bit too potent too often. This is a rare time I get to talk about the difference between potency and sibilant qualities. So, let me try to explain what is happening here. Sets like the HD800 aren’t inherently sibilant, they are so pure and accurate, that garbage quality treble in the recording will pop more than on sets not aimed for accurate reproduction. So too, this HiZ650 seems to be immensely accurate and pure, at least for an earbud, in terms of tonality. With that absurd level of clinical appeal in tone, combined with a potent quantity of treble, you can often find yourself rubbing your ears. For example, there is a track from Kool and the Gang called Summer Madness, where a synth elevates in frequency to a higher pitch each cycle of the instrument being played. It starts off tolerable but goes to a jaw dropping level of razor sharp purity when it reaches its apex. At the same time, you feel like you’ve just been stabbed in the ear because there is so much abundant treble, odds are good your ear won’t be ready for such a thing coming from a small little earbud. But what does that mean, exactly? It means that this earbud is extremely uncolored, has a ton of treble and can respond vividly well to very high pitched musical instruments. This is actually amazing when A/B compared with the Zen 2 from VE, which offers significantly more relaxed treble, but also one that sparkles like a moonlight field at night, stars twinkling at night type of a vibe to the treble: never potent, never annoying, gorgeous to boot but lacking bite and quantity. Sorry for that flowery terminology, but that is the only way to describe sparkled treble (something you can look at for hours and be amazed by, IE, the night sky) or something that is brutally honest and that can be super bright because the track is (a flood light, or the light on a train about to hit you because you are standing on the tracks like a deer in the headlights). This HiZ650, on the other hand, is the total inversion of that type of sparkled sound as the Zen 2 housed. Instead, this HiZ650 is razor sharp, potent and with hair raising amounts of clinical appeal. In fact, as mentioned already, it is the purest sounding earbud I have ever experienced by leaps and bounds. At this point, I fear to continue to praise this earbud, but I am finding no other choice in the matter. Staging properties on this earbud are fantastic, to say the very least. In fact, the Zen 2 and the older MX980 both sound quiet closed in and lacking the depth of field when directly compared with. Height factor and width are very good, but the depth of field factor is well beyond that into the excellent tier. Realism and staging properties won’t let you down at all, especially not if you are coming off of various other high-end earbuds of the past. The only downfall here is the density factor or the substance and heft qualities, which I find to be sub-par and severely lacking. Once again I circle back to what I said earlier in that I’m finding the overall experience to be very strange and oddly set up overall. Despite the excellent sound staging properties that this earbud offers, density and realistic weight carried are actually poor, especially so compared to the Zen 2 and a few other earbuds that I own that sound thick and luscious. I don’t think this is okay, especially not at this price. I consider this TY HiZ650 earbud to be relatively thin feeling, which is simply a tragedy to me. I highly recommend you invest in an amplifier with at least 1.5W of power. I know that might sound strange, but after testing on multiple amplifiers ranging from the Feliks Audio Elise to the Euphoria, the Heron 5, which is rated at 5W and a number of portable sources, it became vividly evident that there is a golden zone somewhere around 1.5W of power. Thankfully the earbud isn’t overly sensitive or prone to hiss up to that point in wattage. I seem to be able to use a high gain mode on every amplifier and source that I own and I do not hear any static or hum in the background, so long as the source and amp were rated somewhere around 1.5W. The reason I mention that is because all testing done with amplifiers rated over 2 W has produced an undesirable brightness to the background experience that only gets worse on high gain mode. For example, my Heron five amplifier on low gain output sounds noticeably cleaner than it does when I use this earbud on the 5 W output setting. But, it also sounds underpowered and even thinner than usual compared to when high gain is used. This also occurs on every other amplifier rated above 1.5W, so I feel safe in saying this is not a coincidence and that this earbud simply reacts poorly to more than a specific level of electricity flowing through it. It is not uncommon, but sadly this doesn’t seem to be the case with my Zen to or my MX 980. Is it a big problem? Not really. It just means you have to be careful with high output gain mode on your source or amplifier. Using my Ray Samuels SR71B on high gain mode, I am able to achieve sufficient volume and kick factor. But the serious problem here is that I have never experienced a single portable amplifier under $500 that is justified enough in sound staging properties to actually be used with this earbud…or at least, that should be used with this earbud. Most portable amplifiers out there seem to lack the depth of field and realism in staging properties, so they simply don’t pair very well with this earbud that outputs excellent sound staging overall. This is a serious dilemma because out of all the portable source music players that I was able to test with, none of them did true justice to the potential sound staging vastness that this earbud is capable of from much better sources and amplifiers. Of course, the popular pics out there in the portable music player seen are just fine and will get the job done while you are on the go. I don’t feel any of them truly lacking, it is just that the potential factor of this product exceeds what I know to currently exist in the portable music player market. IE: A ton of power output and excellent staging properties. That type of a portable amp is immensely rare and I can’t recommend a single one that fits the bill. My Plenue M simply isn’t justified enough in staging properties to merit a well-paired rating from me. Not many portable sources out there have the power juice to properly feed a 650-ohm headphone, to begin with, and the problem only doubles in intensity once you realize that you’ll need a multi-hundred dollar portable amplifier with exceptional power output to justify this earbud. Ouch. Take it for what it is. This earbud is magnificent in raw audio quality from top to bottom and easily the best sounding earbud I’ve ever heard in terms of pure quality allotted. However, is severely lacking in bass quantity and ends up feeling a little bit lopsided due to the exceptional mid range and treble standing above the low end. Beyond that, tonal heft in substance needs to be improved in future models. I feel this earbud to be overly emaciated compared to the competition out there. Unfortunately, this earbud is not at all well rounded with genre selection and sounds overly harsh with older recordings. That lacking bass quantity really seals the deal and undermines the potential selection of listening experiences out there. Sadly, more power never equated to a more hefty feeling bass experience. If you like copious amounts of sterile/clinical tonality and happened to own a beefy portable amplifier or music player..but also do not mind a thin, bass light sound…then, I wholeheartedly recommend this earbud to you. The sound staging elements are simply sublime and I was very impressed with the difference of said staging potential between a portable music source and a fantastic home desktop source. Truly, this earbud scales up wonderfully in that regard.